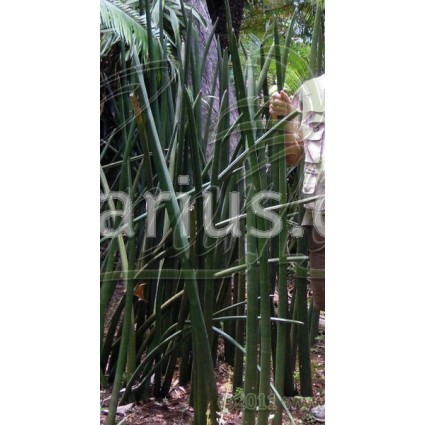 A huge clump of Green Elephant Tusks: stiff, upright cylindrical leaves up to 2 m tall. This is an impressive species from Tropical East Africa. 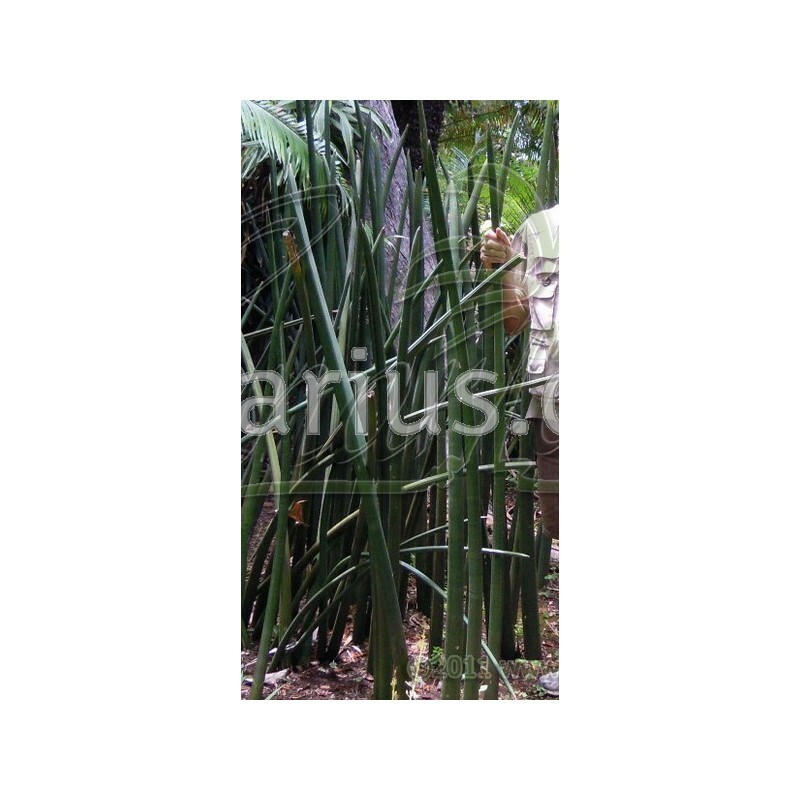 The largest of all sansevierias. It can grow indoors in a large pot, in bright light. We ship a 40-60 cm plant, bare-rooted. Sansevieria stuckyi grows iinto a huge clump of green elephant tusks: stiff, upright cylindrical leaves up to 2 m tall. It is the largest species of the genus. 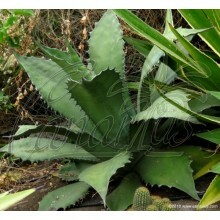 It has smooth, dark green 1,50-2 m. tall cylindrical single leaved shoots, growing from a creeping rhizome. 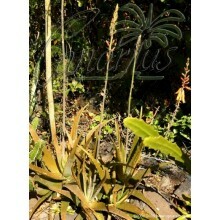 In summer a short rounded spike of white, scented flowers sprouts at the base of the mature leaves. It is native to Mozambique. 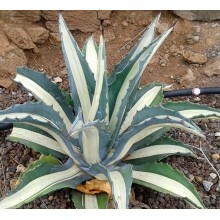 Sansevieria stuckyi easily grows in any kind of well drained soil and slowly multiplies to create a huge, thick mass of leaves. This Sansevieria can grow in any kind of light, from shade to full sun. It is a new and showy addition to indoor landscaping plants. It can be grown indoors as a house plant if bright light is provided. A large clay pot can hold a plant for many years. It is also suitable for Mediterranean-type succulent gardens.It can be found in cultivation in many old gardens in Tenerife, because it has been cultivated for decades at the Jardín Botánico de La Orotava and so it spread to many local growers. 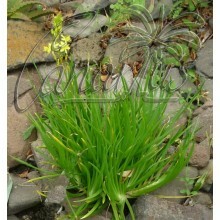 We offer a young single leaf with rooted rhizome, a robust field-grown plant, 40-60 cm tall.